Not nearly as much love is given to “It’s the Great Pumpkin, Charlie Brown,” the Peanuts Halloween classic, but you may be surprised to learn that this movie also contains Christian themes. One New York City pastor, in keeping with the holiday spirit, has opened a Peanuts-inspired booth outside his church. 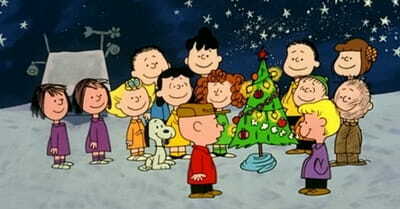 A school district in Kentucky says it will censor all religious references from its production of “A Charlie Brown Christmas” in response to a complaint. During the airing of the 50th anniversary special of the iconic Christmas movie “A Charlie Brown Christmas,” President Obama failed to mention the true meaning of Christmas in his commentary on the movie. Does Christianity Make an Appearance in the New Peanuts Film? The Charlie Brown Christmas special is up there with It’s a Wonderful Life; there’s something special about those Christmas movies that stirs our soul and warms our heart. They remind us that there is something more.